Home » facebook » Was Facebook down in India??? I am not Sure Whether Facebook is down or not but since morning its showing error message by my browser whenever i try to access my Facebook page. Already rumors are there about Facebook closing on 15th of this march and after such situation most of people will think that the rumors about closing Facebook was might be true. As Facebook is down in my area only. I confirmed from my friend from Delhi who told me that Facebook is working there fine.So may be some technical issue causing my web page to show such error message. One of my friend from Chennai told me that Facebook is not working there since morning 9 AM. I didn't try that earlier but i checked few minutes ago i.e 10.20 AM on 13th march and it is showing error message that page not found. May be Facebook is down for maintenance work or outage issue.may be Facebook is updating something in their servers.Who know?? 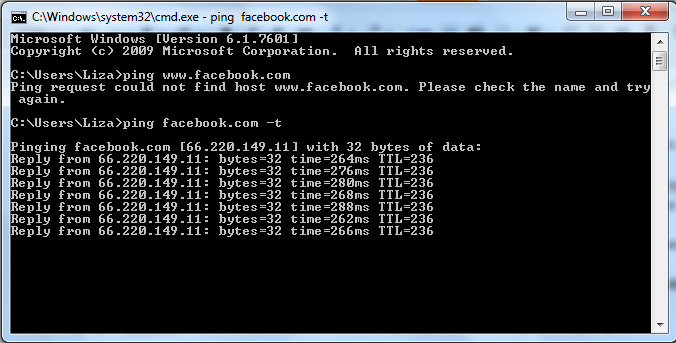 I ping to Facebook.com from my computer command prompt and it showing following output. 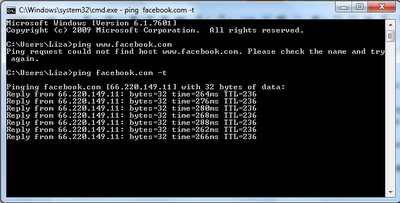 The Facebook server is replying properly to my ping request than what can be the reason for Facebook down?? If you are facing problem regarding Facebook online/offline issue go to This Link and report there.